Nice Marco Polo model with 3 bedrooms, 2 baths, office/den, 2 car garage. You will love this home on a premier corner 0.35 acre lot. Privacy on all sides. Relax on your large covered lanai and enjoy the privacy of your own nature area. Walk inside the freshly painted home and enjoy the new carpet and new tile in all wet areas. 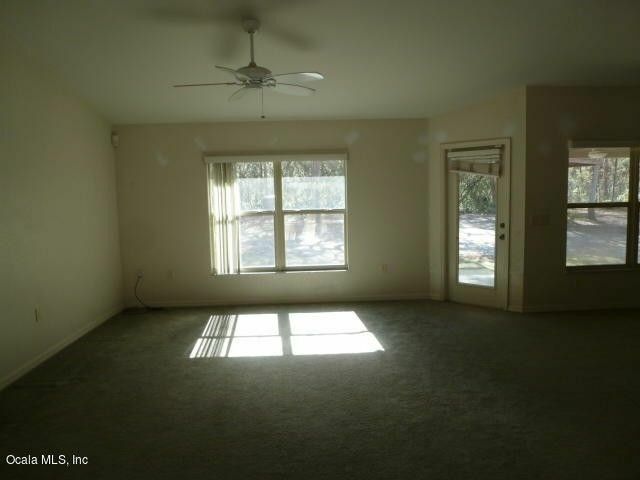 The home is spacious, with a large master BR and Bath area. The bathroom has double vanity, walk in shower, spa like tub. An office/den is perfect for the family computers. The outside has been painted within last few years. New stainless steel appliances included. Home has an alarm system as well. Directions: From !-75 exit 341. Go West on 484 to Marion Oaks Blvd (by the Dollar General Store). TL follow to 151st Loop, turn right and house is down on the left.